The model is so named because the car’s wheelbase is 120 inches – the B shows that 1936 was the second year for the 120 series Packard. Engine: 282 cubic inch straight eight. Its 120 horsepower could push this car close to 100 mph. 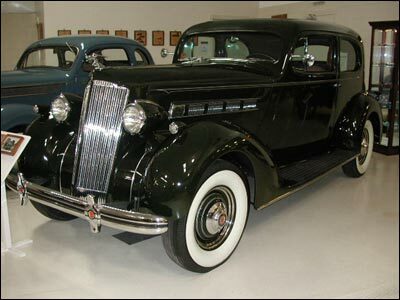 There were 3,976 Packard 120B Touring Coups (Style 994) built in 1936. This is one of five known to still exist. The 120 series Packards were smaller than the big “senior” Packards, but still every inch a Packard. 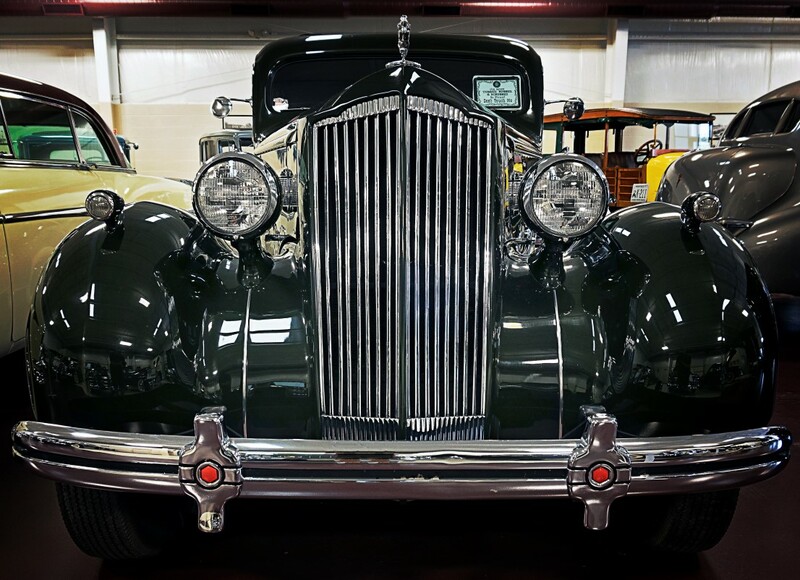 Although not considered a “Classic,” the Packard 120 with its sculptured body and authentic Packard hood and grille was one of the most beautiful cars of its day. By competing price wise with Buick, Chrysler and other mid range cars, the 120’s saved the day for Packard during the great depression of the 1930’s. They were great cars. It was during the 1930’s, and conditions were tough. Only a few people could afford one of the big classic Packards. Packard Motor Company saw a need to compete with Buick, Chrysler, Hupmobile, Hudson, and others in the mid-price range…hence, the 120 series. Although not truly a “classic,” the Packard 120 with its sculptured body and authentic Packard hood grille was one of the most beautiful cars of its day. It quickly caught the public’s fancy, and many Packard 120’s were sold to proud owners.